KAMPALA– Sarah Opendi, the State Minister for General Duties (Ministry of Health) has revealed plans by Government to ban all doctors attached Government facilities not to work in private health facilities. Opendi’s remarks were in response to a matter raised by Lutamaguzi Ssemakula MP(Nakaseke South) who asked Government to prevail over its staff after one woman lost her life during birth over negligence of doctors in his constituency. Lutamaguzi wondered why public health facilities have insisted on the use of pre-paid electricity billing, Yaka which he described as unreliable wondering how medics can start operating a patient yet they are not sure of how much yaka they have and facilities don’t have fuel in the generator. Opendi told Parliament that public hospitals are supposed to operate 24hours as well as weekends, but absence of doctors is one of the administrative challenges that still occur in Uganda’s health facilities, and some health professionals are dividing time between the public and private facilities. “We thought we should come up with clear laws banning public servants from working in private facilities at the same time because they give in three hours to public health facilities and then spend most of their time in the private health facilities. 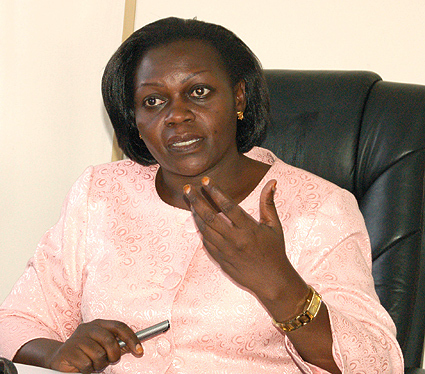 We couldn’t move in that direction because of poor pay our health workers have to endure,” Opendi said. Lutamaguzi also tasked the health ministry to explain reports by National Medical Stores, that entity is stuck with medicines in their stores that aren’t picked, with the entity giving an example of Septins, Hepatitis B and the testing kits, that are about to be destroyed since the medicines aren’t picked from NMS. Opendi said that NMS can only distribute these drugs, upon request from districts.